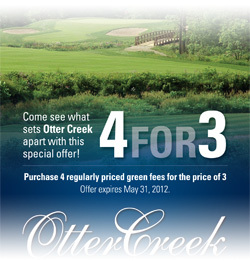 Matchplay Golf Marketing. 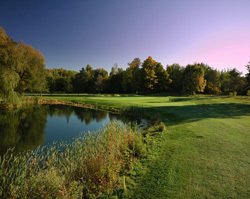 Canada's only full-service design and marketing agency devoted to golf. At Matchplay Golf Marketing, all of our projects have one goal in mind... to drive more golfer revenue for our clients. Today's consumers expect information at their fingertips at all times, and golfers are no different. Your website provides a great opportunity to present all the information about your business, and is perhaps the best advertising your money can buy. Our websites are not only eye-catching and informative, but also provide ease of navigation and functionality. But don't forget that it is also a marketing tool that needs to include ways to generate more revenue to your business. Social media has become an integral part of our lives. ﻿Did you know that only 33% of consumers believe what a brand has to say about itself? However, 92% believe what their peers say about a brand. Social media platforms allow you to create a personality for your business and interact with your customers on a more intimate level. Who are your best customers? What are you doing to turn those golfers into powerful brand advocates with their peers? We build these platforms for you and integrate them into your website and other marketing materials. 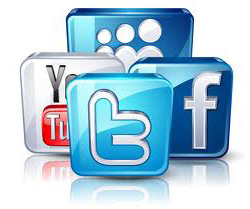 We can also provide content for posts and if needed, manage the social campaign for you. Some of the most effective marketing we do is by simply communicating on a regular basis with your existing customer base. Utilizing an extremely cost-effective third-party email service, we can easily create, deliver, and track the success of email marketing campaigns to your customer database. Furthermore, we can add a sign-up box to your website so that your database can continue to grow automatically. 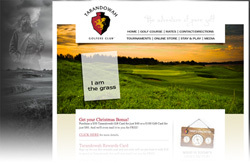 Our award-winning design work will not only make your golf business stand out from your competition, but we will take it from concept to completion of the project. Our graphic services include: Advertising, Corporate Identity and Branding (logo, business cards, letterhead), Brochures, Loyalty and Gift Cards, Trade Show Exhibits and Banners, Newsletters, Media Kits and Image Libraries. We also have great relationships with a number of first-class printing companies and have been able to save our customers tons of money on their print bills. used at the Toronto Golf Show in 2012. Although often overlooked as such, scorecards are an important marketing piece as they can help elevate the overall image of a facility. So we don't use templates. Your scorecards and yardage guides are custom designed to fit with the other branding and image of your golf course. 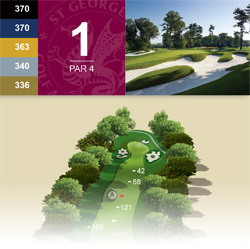 We can also create course maps and hole illustrations for you to use in both your scorecard or website course tours. included hole illustrations as well. ﻿They say a picture is worth a thousand words... We think it's worth more! Great course photographs are key to improving your branding and definitely worth the investment of an experienced course photographer. We work with some of the best in the industry and make sure you have at least one outstanding photograph of your signature hole to use in your marketing and advertising pieces. 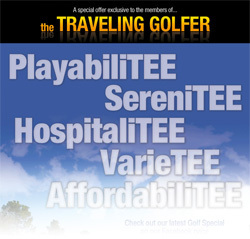 Many private clubs produce a specialty magazine for their members. This feel good piece not only helps to commemorate events held at the club, profiles staff and members and their activities off the golf course, but can also be used as a powerful marketing piece to drive more revenue through the golf shop, food and beverage or membership sales departments. From concept to completion, we can handle editorial planning and coordination, design and printing or digital creation of the finished piece. 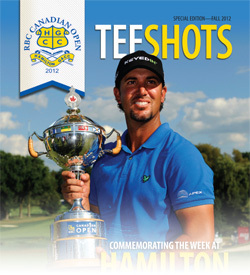 Opposite: A commemorative RBC Canadian Open magazine for the members at Hamilton G&CC. Competition in the golf industry has greatly increased creating a need for marketing programs to drive more business. But, the demands placed on today's managers do not allow them the time to successfully plan and implement a marketing effort to increase revenue. We can develop, implement and maintain an effective marketing plan, and free up a manager's time to better run day to day operations of the business. Once we have established a firm understanding of your business, we can plan how we are going to meet your goals. 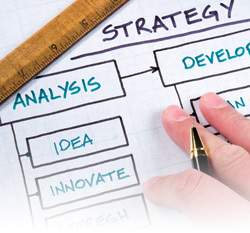 Our marketing plans can include: a Mission Statement, a Market Summary and Market Demographics, S.W.O.T. Analysis (Strengths, Weaknesses, Opportunities and Threats), Competitive Summary, Marketing Objectives and Goals, Strategies to Drive Revenue (Advertising, eMarketing, Direct Response, Loyalty Marketing, Social Media, Pricing, etc. ), Marketing Expense Budgeting and Collateral Material Review. Copyright © 2013 Matchplay Golf Marketing. All rights reserved.